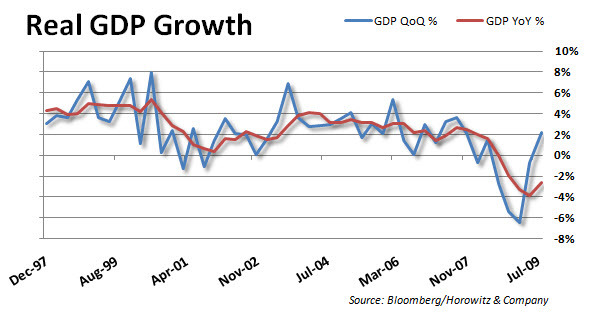 GDP In Charts – Incompetence or Stretching the Truth ? Let me recall something for a second…. Ahhh yes, we were told that the economy was strong, surpassing all expectations when the initial GDP for for the 3rd quarter was released last month. Then, not so good as the revisions came in under, closer to 2.8%. Now the final tally is in and it dropped another 21%. Below is the “official numbers” on GDP that was released today. To be clear, the initial was later adjusted down by 20%, the final was then adjusted down by 21%. That means (quick math here folks) that the final was adjusted down by 37% downward revision from the initial. Is that simple incompetence or….? Either way, it really does not matter since it is in the past and the only important figures are the surprises to the better. For now, good news is great news and bad news is good news. In surprising fashion, the revision to Q3 GDP was fairly substantial. According to the third estimate from the Bureau of Economic Analysis, GDP grew at a 2.2% annual rate in the third quarter versus 2.8% in the second estimate. 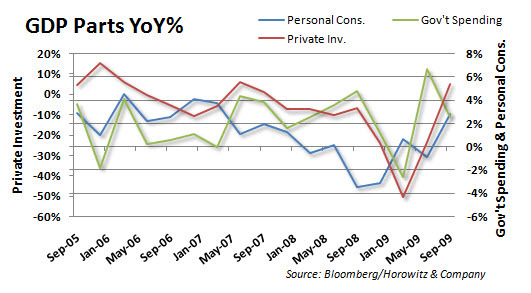 A slight downward revision to personal consumption expenditures, which were said to be up 2.8% (versus prior 2.9%) from the preceding period played a part in the downgrade, as PCE contributed just 1.96 percentage points to the change in real GDP versus 2.07 percentage points for the second estimate. Other gauges that were adjusted to show a lower contribution to the change in real GDP included gross private domestic investment (from 0.91 to 0.54), the change in private inventories (from 0.87 to 0.69), imports (from -2.53 to -2.59), and government spending (from 0.63 to 0.55). Separately, the GDP price index was revised down as well from 0.5% to 0.4%. 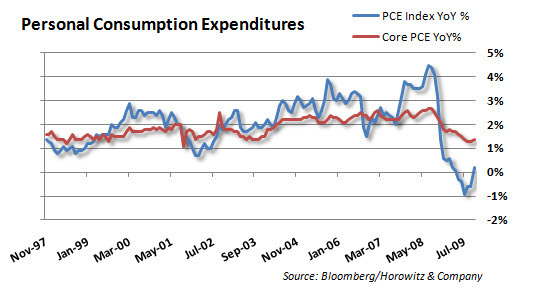 Core PCE was reported to be up 1.2% quarter-over-quarter versus 1.3% for the second estimate. This inflation gauge won’t alter the Fed’s assured view on near-term inflation pressures.